"It's my first final table ever at the World Series of Poker," Vegas' own Jordan Polk declared. More importantly, he was telling it to his friends while sitting behind a tower of chips, getting ready for the winner photos. Polk just took down Event #72: $1,500 Mixed NLH/PLO for $197,461, beating a field of 707 entries. Originally from Maryland, Polk moved to Vegas when he was 17. He went to the UNLV, lived here for eight years and then moved out. But he came back and has now reached the poker pedestal in a place that he calls his home. "It feels unreal. It's hard to even believe. It was a lot of hard work but it paid off," Polk said of his victory. While a good run is a necessity, good plans always help, and Polk came ready. "I've been looking forward to this event for a while. I skipped a few events earlier this week just specifically to make sure that I was able to play this one." What makes this tournament special is the mix of the two most popular games. The event generally attracts tons of players who are familiar with hold'em but they might struggle in omaha. Polk played this event last year and realized that he could face a relatively soft field. "I love pot-limit omaha and it's a huge edge when you play against no-limit players when you play omaha. They just overvalue hands," he said. It seemed to be the case here as Polk bagged the chip lead at the end of Day 1, then continued crushing for the whole day to come back for the final day third in chips with 15 players left. But mainly his table draw on Day 2 wasn't the luckiest one. He shared the flops with six-time bracelet Daniel Negreanu. Polk had Negreanu directly to his right, so he at least had a position on the Kid Poker. And the experience was all but intimidating: "It's nice playing against professionals. I love competition, that's what makes me love this game," Polk said. What also helped Polk enjoy the battles with Negreanu was the fact that the card distribution was on his side. "I ran very well against him," Polk admitted. Ultimately, Polk himself busted Negreanu in 29th place in a no-limit hand which saw Negreanu run with ace-king into Polk's aces. Polk doesn't play poker professionally but nobody on the rail would be able to tell, considering his composure on the final table. Ryan Leng, who won his first bracelet just a few weeks ago, held the lead when the finalists merged to one table but a couple of unfortunate collisions saw him depart in sixth place, following eliminations of Kevin Iacofano in seventh and Alexander Ziskin in eighth. Polk kept cruising with a solid stack but then got short-stacked with four players remaining. He doubled with aces and then climbed back to tie Fernando Brito and Dan Matsuzuki. 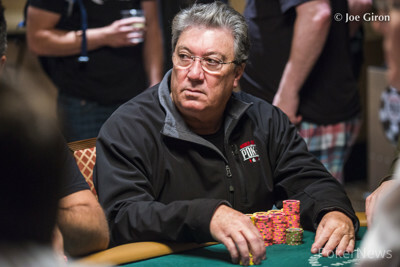 At the time, Jesse Vilchez was the boss, leading the pack and executing some aggressive plays such as cold four-betting with jack-nine in no-limit. Polk was able to eliminate Matsuzuki and then tangled in a flagship pot against Vilchez in PLO. They got the money in on the flop with Polk having hit a set of threes while Vilchez turned up with aces and a nut flush draw. Polk's hand held and he scored a massive double to amass two-thirds of the chips in play. "I was very calm. The first time my blood started rushing was when I won that big PLO hand," Polk said. "Up until then, I was much calmer than I would've thought." Spiking good runouts in big hands is the cornerstone of winning poker tournaments. However, that's not Polk's forte. While he doesn't play poker professionally, he claims to have played millions of hands in cash games. "I don't play poker for a living but I do play a lot of cash games. I don't really play any tournaments except at the World Series." This year, he got into the right mindset with a handful of semi-deep tournament runs, making the top 100 several times: "I knew I was getting close. It's kinda built up to this moment," Polk pointed out, admitting that his previous results helped him to get more confident. "I've been playing poker for a very long time. I know a lot of good friends that play poker for a living." So Polk was able to receive some expertise on difficult spots he went through in the tournament, but his fundamental gameplan is generally different to that of poker pros. "I don't really study the game, I play more on experience and instincts so my friends help me with situations that I'm not too familiar with," Polk said. He ended up heads-up against Portugal-born Brazilian player Fernando Brito, holding a 3-1 chip lead when the match started. Brito was by no means an easy obstacle. While he himself isn't a professional player either, Brito is a seasoned veteran in tournaments. He's amassed 40 WSOP cashes and the heads-up started shifting in his favor. Supported by a loud Latin American rail, Brito managed to take over the chip lead for a short stint. Then Polk bounced back, tackled Brito down to a nub. Brito made one double but the following all-in situation went Polk's way. Just like that, a newly crowned champion emerged and Polk's railbirds started shouting in excitement. There may have been an empty chair in the cash game area in the past few days, but Polk made up for it in the Mix NLH/PLO. 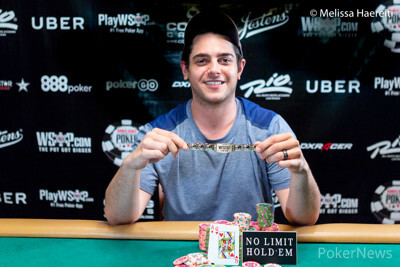 Now with a bracelet in his showcase, Polk might get an appetite for the tournament formats more and more. "Ultimately, it's like a tease. You want to get further and further." Fernando Brito attempted to raise preflop but just tossed in a 100k chip. 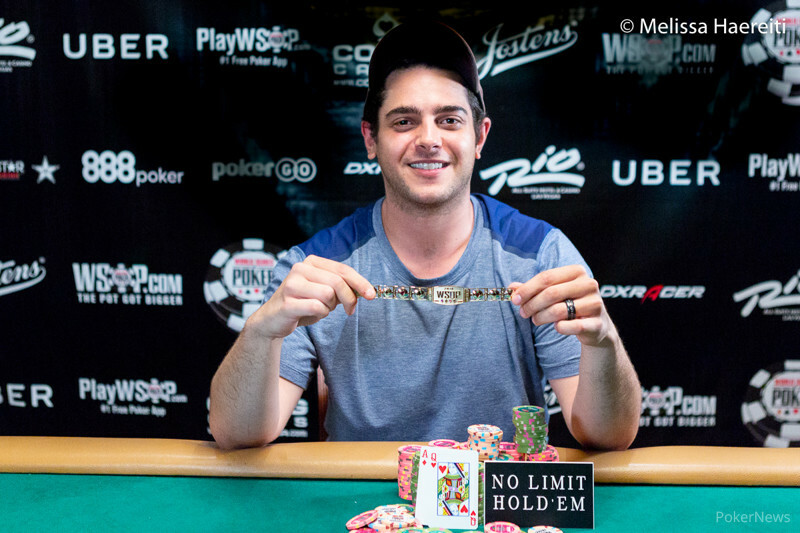 The dealer deemed it a call but Jordan Polk decided to raise it anyway, putting in 250,000. Brito called and a flop fanned out. Polk bet 300,000 and called Brito's all in blast. The on the turn left Polk one card away and the bracelet was secured when the peeled off on the river. Brito collected $122,032 for his runner-up finish while Polk took home $197,461. Fernando Brito was all in for 680,000, racing with against Jordan Polk's . The board of bricked out and Brito doubled up. In a limped pot, Jordan Polk and Fernando Brito both checked the flop and Brito fired 100,000 in position when the turn appeared. Polk called and called another 275,000 on the river, picking off Brito's bluff with . Polk showed and raked in the pot. The next hand saw Polk open to 125,000 and Brito defended his big. Polk skipped the cbet but fired 175,000 on the turn reading . Brito called and the river fell . Brito checked, Polk fired 275,000 and Brito called. Polk rolled over for a straight and wounded Brito again. Jordan Polk opened to 100,000 and Fernando Brito called. The flop came down and Brito check-called a bet of 110,000. The hit the turn and once again Brito check-called, this time for 225,000. The peeled off on the river and both players checked. Brito showed a pair of sevens but it wasn't enough to beat the of Polk who made two pair. In a limped pot, Fernando Brito checked back on and Jordan Polk led out 50,000 on turn. Brito called and Polk fired another shell on the river, potting for 200,000. Brito called, asking, "Straight?" The answer was negative as Polk had only a pair of fives. Brito turned up and took over the lead. Jordan Polk made it 110,000, Fernando Brito called, and Brito check-called 80,000 on the flop. The turn came and Brito checked to Polk who fired a second barrel, making it 230,000. Brito cut out calling chips and then reached for extra money. He pushed forward a raise to 830,000 and Polk let it go.